The all-new Mud Lite SP is sized for use on most late-model, high-performance sport ATVs, in a 22x7-10 front and a 20x11-9 rear. Unique, deep-lug tread design that mocks the nastiest mudholes but still plays nice on harder trail surfaces. Lightweight 6-ply carcass delivers exceptional acceleration and braking characteristics as well as balanced cornering traits. 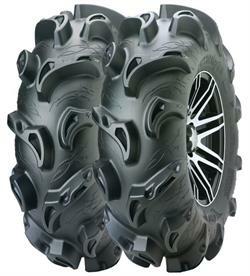 Extreme Terrain RADIAL tire! Radial construction means the Mud Lite XTR rides smooth and finds more traction than a bias-ply tire because of a larger contact patch. 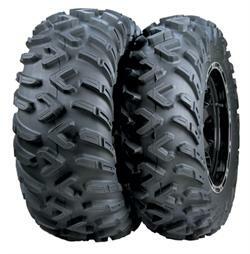 A radial tire's footprint actually grows under load! 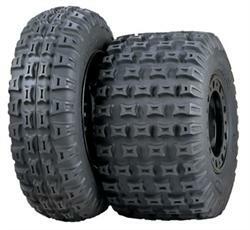 8-ply rating and 25% stronger construction has produced our most rugged, durable tire yet! Extended-life rubber compound and innovative overlapping tread pattern provides a smooth, predictable ride as well as slow wear characteristics — this is the highest-mileage tire ITP has ever produced! 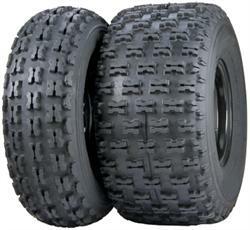 8-ply radial construction and a new, more durable rubber compound delivers longer wear and enhanced cut resistance. 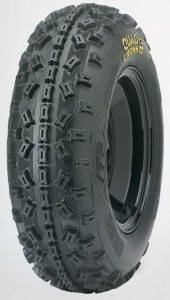 The TerraCross R/T tire line uses all-new XD (Extreme Duty) construction -- an extra sidewall ply and increased sidewall and tread rubber thickness for improved puncture protection. 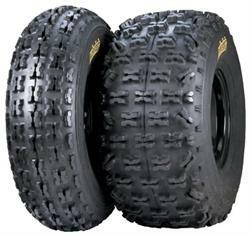 New, extra-tough rubber compound significantly increases tread life. 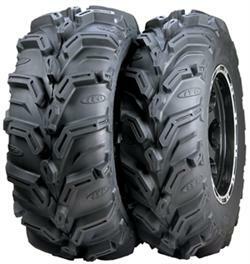 The TerraCross R/T XD offers much greater durability and reliability, resulting in a much higher-mileage tire. 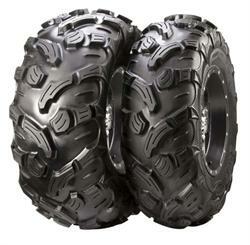 Specially designed 14-inch sizes make the TerraCross R/T the new standard in side-by-side UTV tires. A standout performer on ATVs as well! 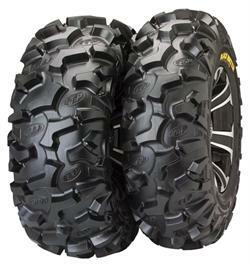 14-inch UTV 1000-pound maximum load capacity per tire, at 12 psi. Specifically designed to accommodate the unique demands of side-by-side UTVs. 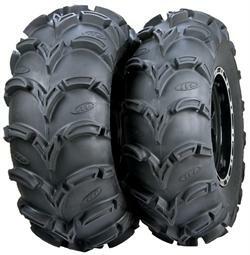 Rugged 6-ply-rated RADIAL carcass for durability, smooth ride and balanced handling. 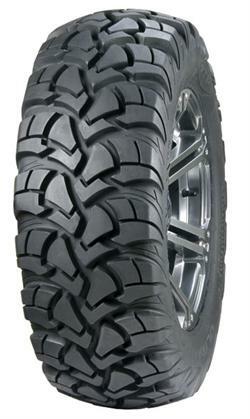 Unique, directional tread design for predictable, well-balanced handling response. Tread pattern provides an ideal level of grip while remaining smooth and quiet on a variety of surfaces. Aggressive, reinforced, dual-depth paddles provide excellent sand traction. Delivers big-time straight-line bite that will get you up and over that sand hill quicker than ever before. Exceptional flotation and superb ride due to a super-flexible carcass. New front Dune Star provides light, accurate steering and a comfortable ride. Sizes for most dune ATVs, from mini to massive. The absolute latest in sand tire technology! Extremely lightweight yet durable carcass uses a special rubber compound that delivers an ideal level of flotation, flexibility and cornering capability. Front Sand Star features a patent-pending "dual rib" design for unmatched steering control. Rear Sand Star uses eight 30mm main paddles as well as eight "mini-scoops." This patent pending design creates much quicker hook-up and acceleration than anything on the market today. The new MX PRO features a revised shoulder profile for greatly improved predictability and side bite. We race what we sell. 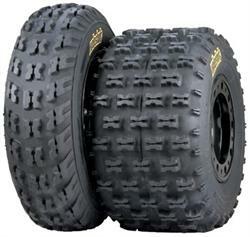 Soft “works”-like rubber compound sets a new standard on hard-packed tracks. Based on the R&D assistance of Factory Yamaha and Kawasaki ATV MX teams, the new QuadCross MX PRO front and rear combo will cut seconds off any rider’s lap times. 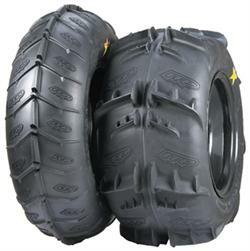 Made in the USA, the ITP Quadcross MX2 front ATV motocross tire is currently available in one size (20 x 6-10) and has a two-ply rating. 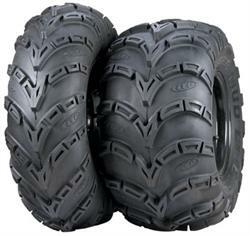 Two tread heights are available and will allow racers to outfit their ATV with the best Quadcross MX2 tire for the track conditions. 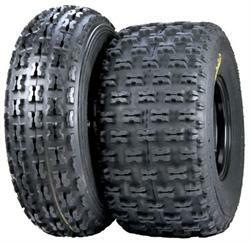 A standard tread depth (0.42 in.) 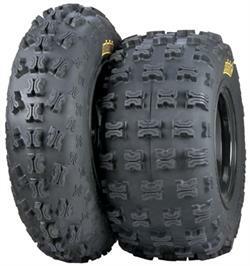 is recommended for hard-pack to intermediate tracks and a taller lug height (0.56 in.) is designed to offer optimal control for motocross tracks with intermediate to loose soil. 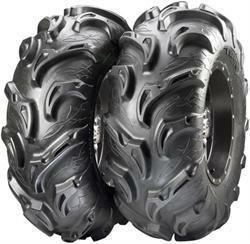 One of the most-copied ATV tires ever often imitated, never duplicated! Don't settle for less than the original. Patented split-knob design make this one of the best-performing knobbies around. Front: 22x7-10 (4-ply); Rear: 20x11-9 (6-ply). Dollar for dollar, the single best handling improvement you can make on any sport quad. 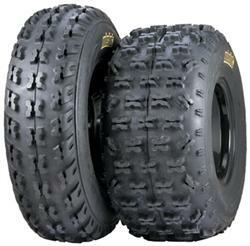 Most puncture-resistant sport tire on the market today. Ideal for desert riding and racing. Front: 21x7-10, 22x7-10 (6-ply); Rear: 20x11-8, 20x11-9, 20x11-10 (6-ply). Ideal for today's 4-stroke sport machines! 6-ply tough yet light in weight. 2 pounds lighter than Holeshot XC model, 2 pounds lighter than the Razr. Lower in profile, narrower and lighter than our XC/XCT models. Special angled shoulder knob design provides increased side bite for faster, more controllable cornering. Our tallest high-performance trail riding and racing knobby. 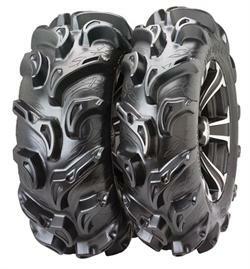 Aggressive tread pattern for even more impressive cornering ability. 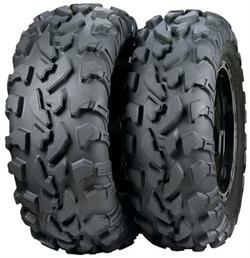 Perfect for rough, rocky desert terrain. Extremely puncture resistant thanks to extra heavy-duty sidewall construction. The roughest, toughest Holeshot tire ever! Wide stance helps to climb out and stay out of ruts. Stepped shoulder knob design offers exceptional side bite and rut control. Front: 21x7-10, 22x7-10 (6-ply); Rear: 20x10-9, 21x11-9 (6-ply). MXR6 Front: 19x6-10, 20x6-10 (2-ply); Rear: 18x10-8, 18x10-9 (2-ply). An ideal choice for loose track surfaces, with wider-spaced split knobs for better bite and clean-out. Rear MXR6 uses a new reinforced carcass for 2006; minimizes stretching while maintaining a flat profile, providing consistent feel and performance. New carcass allows lower tire pressures, enhancing control as well as ride comfort. 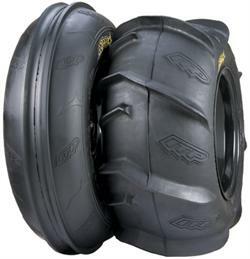 Front MXR6 features a new, longer-wearing tread compound-more motos per tire!